Dina Kowal Creative: 2017 Season's Givings Blog Hop! 2017 Season's Givings Blog Hop! Welcome to the Season's Givings Blog Hop! This is a meeting of designers, companies, and more that want to give back to thank YOU for your support of US throughout the last year! 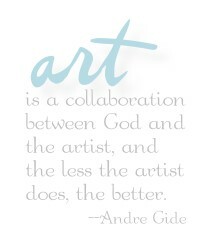 I love this industry and the generosity that exists among people committed to share their talents through creating art. It's such a privilege to work and play here - some days there's no boundary between the two! In case you're new to my blog, I'll tell you a little about me. Today is my BIRTHDAY, which is always a fun day to give things away! I adore Winnie the Pooh, randomly burst into song, and collect fun socks. I have my own line of stamps, design cards for several companies, and I'm the Artist in Residence at Splitcoaststampers, among other roles behind the scenes. I love to create, and I love sharing what I learn in the process. I have an online store where you'll find prints of my original artwork as well as jewelry and other items. I've been blogging here for just over 10 years - you can click HERE to see the highlights of my creative year. This card features a stamp from my new Valentine release from Impression Obsession - I love this one! It's called Paris Collage, and it's great for a quick, romantic card or tag. I have a little bundle of goodies to give away - please leave a comment for a chance to win! I've got a huge spool of twine, some paint brushes, Gelatos, glitter, a stamp set from Impression Obsession, and a handmade pendant featuring a little of my artwork! :) I'll draw a name on Thursday 1/5 at 9 pm central time, and announce my winner Friday morning. Thank you for visiting me today, and Happy New Year to you! Check out the list below for more exciting giveaways! 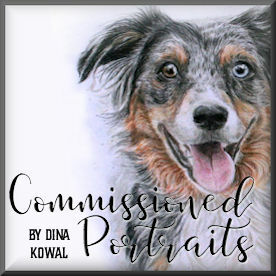 Dina Kowal ------------- you're here! Wow love the new Paris Collage stamp! Happy Birthday! And who doesn't love Pooh! Thanks for giving more information about you, I see you every Wednesday on my Splitcoaststampers e-mail but it's fun to learn more about you. How very generous of you. I have seen your work on Splitcoast Stampers and like it very much! Your card is absolutely stunning. You have such a sweet style, and I always enjoy your lovely cards. I'm so grateful for the crafting community, and I look forward to all the fabulous inspiration I will gain from the talents of all the wonderful artists who share their cards and talents. We truly are blessed! Happy Birthday and Happy New Years! Thanks for all your inspiration. I love the beautiful combination of colors in your card! Thanks for the giveaway. Have a wonderful New Year! Pretty card, love the Paris theme. Beautiful, Dina! I love the embossing and the colors you chose for this card. Happy birthday! Your card is stunning! Wow! I have a special place in my heart for Winnie the Pooh as well:) Wishing you a very happy New Year! Your card is just exquisite and I always love seeing your beautiful projects. Thank you for joining the hop and for the chance to win! WOW!! How stunning and breathtakingly gorgeous!!! I love your new stamp set!! Dina you have such a beautiful talent. The stamps are so detailed and lovely and your jewelry is pretty too! Happy Birthday, Dina!!!! Gorgeous card!!! Happy birthday Dina and happy new year! I look forward to seeing more of your beautiful work in the coming year. I am enjoying this blog hop and feeling grateful for the inspiration and encouragement of this wonderful community of artists. First, Happiest of Birthdays to you! Second, Happy New Year! Third--that tag is absolutely stunning! Thank you for inspiring us! Hope you have a great birthday. That card is gorgeous. Thanks for the chance to win. Happy Birthday to you, Dina!! May you have a wonderful day and a even more wonderful year!!! Your card is lovely and I adore the colors you used. Thank you for your generosity on your birthday! Dina, God has blessed you with great talent and love to boot. Thanks foe doing so much for the industry. Celebrate you all day! Love the inspiration you give to me, So much talent, thank you! Happy Birthday! Absolutely beautiful card! The colours are so lovely. Happy birthday and all the best to you and your family for the year ahead. It's so nice to meet you! My birthday is on the 4th ... and I love Winnie the Pooh and almost always wear silly socks! I'll be following you from now on! Happy Birthday, Dina. Your blog post was a fun one to read today. I love that you, like me, will randomly burst into song. Hope your voice is better than mine though, LOL! And, Winnie the Pooh, well, yes! Loving this stamp set and the beautiful way you used it. Happy New year to you and yours as well! Happy Birthday and Happy 2017! Wonderful giveaway! Dina ---> HAPPY BIRTHDAY TO YOU! Such a pretty and romantic card! Thanks for a chance to win your fun goodies! What a gorgeous card. I need to investigate more on your blog. Happy New Year Dina. Happy Birthday too. Love your card and a chance to win some goodies. Happy New Year, Happy Birthday, and Happy 2017 Season's Givings! I love seeing your new creations and am usually in awe of your work, Dina. You are genuinely one of the most talented of the crafting world, an Artist, capital A, not a crafter. Absolutely gorgeous card! Happy birthday, and best wishes for 2017! Happy birthday! Love your paris stamp! And your giveaway set is awesome! My word I adore that stamp ... looks like I may need to go shopping again soon. Happy Birthday! Love your work! Thanks so much for the chance to win and Happy New Year! Happy Birthday Dina! Great card and thanks for all your advice on Split Coast! Love Paris....love the stamp set!! Thanks for a chance to win! What a wonderful prize! Thank you for the chance to win it! Happy New Year to you! Gorgeous artistic and romantic image for your beautifully designed card. TFS and especially thank you for inspiring us with your art and techniques through out the year! Your blog has become one of my top favorites. Wishing you a very Happy New Year, Dina. Happy Birthday Dina. Love you blog and your work. Love the fact you want to share your talent with us too. Thanks for the chance to win a special package to start the new year off! Happy Birthday, Dina! I love reading your articles in the SCS newsletter and seeing your work. Thanks for the encouragement and help with crafty projects. Wishing you all the best in 2017! Beautiful project! Happy New Year! Thanks for the giveaway offered. Hope you have a wonderful year. Would love to win a pendant that you embellished. thanks for sharing all year long. Love the Paris stamp set! Wow! Happy Birthday!!! Hope your 2017 is a blessed year! Your card and the image itself is stunning and yes, very romantic. Your prize package is awesome ... to own a piece of your art, to me, is simply priceless. happy birthday. I love following you. you first inspired me to try watercolors with one of you videos. thanks for the chance to win a great prize pack. Happy New Year, Dina! I just LOVE your handmade pendant!! Beautiful stampset. Thanks for the chance to win this giveaway. Happy birthday Dina..the Paris stamp is a thing of beauty. Which is true for most of your work. Happy Birthday! Love your designs. stunning card! Amazing prize you're offering. Your art is always so beautiful! Thank you for hopping with all of us :) Happy 2017! Happy New Year! Love your new Paris Collage stamp, very romantic!! Thanks for the giveaway! Your artwork and cards are stunning. I love my "Held" pendant! Happy New Year and continued success in 2017. Lovely stamping and coloring. Happy 2017! Beautiful card, love the fun details. Happy Birthday and Happy New Year!! Love the paris card!! This has been so much fun spending my morning blog hopping. Looking forward to 2017 All the best to you! Happy Birthday Dina and Happy New Year too! The Paris card is beautiful! I did not know that you had your own line of stamps until this moment so I will have to go and check them out right now! Beautiful card love the detail, so soft and pretty. Great giveaway too, thanks for the chance to win! Happy New Year. Je t'adore your card! (I think that means I like it, LOL.) What an awesome giveaway - thank you! Happy New Year! Happy Birthday and Happy New Year. What an awesome giveaway - and great inspiration on this blog hop. Happy Birthday and Happy New Year. Love the Paris Collage! Beautiful! Wow! Awesome card!!! Thank you for being part of this amazing Blog Hop!!! Happy New Year!!! OMG I love how the tag is made into a card! Happy Birthday and Happy New YEar! Paris is perfect for romanticism and your card is beautiful ! The giveaway is awesome ! Your card is gorgeous, Dina. Thanks for this amazing prize package - I'd be thrilled to win. Someone will be very blessed, so I thank you for the chance to win. Happy New Year Dina! oooh la la I love your paris collage very romantic and captures the feel of paris! hope 2017 is a wonderful year for you! LOVE this beautiful Paris collage stamp!! And, you have made a gorgeous card with it, too. Happy New Year! Happy Birthday!! I adore your Paris card and your work! Thanks for the great giveaway...have a very Happy New Year! Your card is amazing. I hope to become better at water coloring. Happy birthday to you! I have lots of crazy sox too :o). Your Paris card is stunning. Seriously wow! Thanks for the awesome give away opportunity. Happy new Year. Happy 2017 and Happy Birthday! Love your designs and I follow you on Splitcoasters. thanks for the chance to win a great prize. Thanks for being a part of this awesome blog hop. I love your Paris collage. Thank you for the chance to win your give away! Happy New Year!!! Happy birthday and also have a wonderful new year. I thank you for a chance to win some prizes too. Happy Birthday and Happy New Year! Your designs are beautiful! Hippo Birdies to you! Love the card with the great IO stamp! What a fun prize, thanks so much! hi Dina - thank you for showing your lovely art creation - your work is amazing! Paris - a place I would love to visit! Happy Birthday and many more! Thanks for offering a wonderful prize as well - Happy New Year! Happy Birthday and Happy New Year!! Thank you for the opportunity to win. I LOVE Splitcoaststampers!! I've followed it for years. Hey...happy, happy B-Day to you! Thanks for another year of sharing your talent with us! Happy Birthday! Love your card!!! I just scrolled through your Dec 28th post. Wow. Such beautiful projects. Happy Birthday and the best to you in 2017. The Paris Collage stamp and card are just beautiful. Happy New Year! Happy New Year Dina! I'm excited about 2017 and organizing my craft space. Thanks for all your inspiration this past year. You are so talented. I hope you have a blessed 2017. I hope I win so I can get your pendant. What a gorgeous card and wonderful giveaway. That pendant is really special!! Thanks for the inspiration and have a wonderful new year! Your card is so elegant. Thanks for the giveaway and Happy Birthday! I love your vintage style card--so lovely! Happy Birthday!! So very nice of you to give to others on your birthday. Beautiful card and I love Impression Obsession! Thanks for the opportunity to win a prize. I ended up here from Inchie Arts-fell totally in love with your Halloween little village card. Going to follow by e-mail-your artistry inspires me. the pendant is delightful-thank you for the chance to win it. Wishing you and yours a safe,happy, & blessed 2017. I love your blog and talents. Thanks for a chance to win! Great cards! Thanx for the hop! Happy New Year!! Thanks for the opportunity to win. Dina, I am new to your blog and look forward to learning lots from you. What a nice collection of stuff... That necklace is gorgeous! What a prize. I love the Paris card too. Beautiful! Hope you have had a beautiful day and a wonderful tomorrow. Beautiful card with lovely details and coloring! Blessings to you this 2017! Happy New Year. Thank you for participating in this year's Season's Giving, and offering such a generous prize. Your card is beautiful. I love the vintage stamp. Such a beautiful style - thank you for sharing your talents! Happy Birthday and Happy 2017! Thanks for the fun blog hop! Happy New Year! Happy Birthday!! What a time to celebrate. Thank you for the opportunity to win your sweet prize package. Love the bicycle set, very cute. Enjoyed looking at your artwork, such talent. Your work is beautiful. Thank you for the lovely giveaway. Dina, I have enjoyed following your blog and reading your advice on the Weekly Inkling. Thank you for sharing your talent with us! Lovely Card! Thank you so much for the generous gift and a chance to win! very pretty and feminine cards! happy new year! Happy New Year....I love the new stamp set and your card....thank you for the amazing giveaway. Thank you for the awesome giveaway!!! :) Happy new year and happy birthday!!! As I adore Paris...I adore your new stamp! Thanks for the chance at the giveaway. Cheers. I love this adorable card! Thanks for the chance to win such fun giveaway! That Paris stamp is beautiful. Thanks so much for giving us a chance to win such a great prize. Happy 2017! Happy 2017 and Happy Birthday. Awesome creation. Thank you for the opportunity to win this wonderful giveaway! Your designs are just beautiful! Happy New Year! Happy Birthday. I hope 2017!is a blessed year for you. Happy Birthday! You Paris Collage is gorgeous. Happy New Year and belated birthday wishes. Hope you enjoyed your day. Thank you for sharing in this wonderful hop. Don't tell the rest, but you are my favorite blogger. You are quite the artist and I always look for your posts first. Happy Birthday and many wishes for a fabulous new year. Happy 2017! Looking for more of your creativity! Happy Birthday and New Year! This is my first time to your blog. I find your work lovely because you are so creative. Happy Birthday, Dina! Thank you for sharing your love of art with crafters around the world. I love to see what you are creating and I'm an avid follower. Love your new collage stamp! Happy New Year! Happy New Year and Birthday! I love the Eiffel Tower but the bike in the give away, oh that I could put to good use! This is my first time following a blog hop. I love seeing all the different stamps and things I haven't seen before. Happy Birthday a day late! Would love to win your generous prize pack! Gorgeous card. Hope you had a happy birthday. Thanks for the inspiration and for the opportunity to win such a generous prize! Happy Birthday! We share Winnie the Pooh and fun socks too! Thanks for an awesome giveaway chance! Have a warm and wonderful 2017! Happy Birthday! Hope you had a blessed day, and may you have a happy and prosperous 2017. Thanks for the opportunity to win such generous prizes. Happy birthday Dina! Your card is a masterpiece! So beautiful! Thanks for the inspiration and for the opportunity to win! Happy New Year and Happy Belated Birthday! I have enjoyed seeing your work on Splitcoast Stampers and you always have wonderful info to share. Your collage stamp is gorgeous and the card is beautiful. Thank you for participating in the blog hop and giving us a chance to win a great prize. Happy New Year and Happy Birthday! Gorgeous card. Thanks for the chance to win your prize. Happy Birthday. Hope your day was great. Love the Paris stamp. Oh, wow! Your card is gorgeous!! Love the pinks paired with that very romantic image! Thanks for the chance to win such a fabulous prize! Your card is just so very lovely - so pretty and soft!! Happy New Year to you!! Again.. I just love Split Coast Stampers!! Just love this blog... will definitely be back!! Thanks for being a part of such a FUN blog hop!! Happy 2017!! Thank you for the lovely giveaway!! Love that awesome card! My niece is in love with Paris right now, (and also crazy socks!! ), & she would be over the moon with this card! Thanks for the chance to win your awesome prize. Happy New Year!!! You do lovely work! Thanks for participating in the hop and for the awesome giveaway! Yes! Your artwork is just wonderful. Love the creativity. Happy New Year and thanks for all you do at SCS. Stunning card, Dina! It makes me want to visit Paris. Love your prize package of goodies and appreciate the chance to win it. Thanks for inspiring us and Happy New Year! I enjoy reading your blog and emails- it's like getting a note from a friend. Your new Paris stamp is beautiful!!! Gorgeous card! Thanks for the chance to win & hope your 2017 is fabulous! Oh my goodness! That tag is to die for! I love all things related to Paris and the Eiffel Tower so this is just too beautiful and perfect! Does your creative magic come with the brushes and other items? I want some of that too! Keep creating, my friend. Beautiful card, Dina! Love the Paris theme! Thank you for taking part in the Seasons of Giving Blog Hop and for the chance to win! Happy 2017! what an absolutely GORGEOUS card, Dina! Wow! And thank you so much for an awesome giveaway! Those brushes and that necklace alone are drool worthy! Happy New YEar, and thanks for the chance to win! I am new to paper crafting and look forward to learning new techniques this year. Such a pretty elegant card. Happy New Year! Love your project with the Paris stamp set! Thanks for the chance to win a great prize. Thank you so much for participating in the blog hop. It's been a great opportunity to check out a lot of new ideas and inspiration. Love your cards, especially the Paris one. Thank you for the chance to win. Don't know how you find the time for all the amazing things you do , but we're all richer for it. Thanks for the hop & a chance to win. Happy 2017, Dina, & Happy Belated Birthday. This is my first time visiting your blog, you do beautiful work! Thank you for the opportunity to win. What a lovely Paris card - pretty colors. Wishing you a Happy Birthday and Happy New Year! Beautiful works of art! So pretty! Looking forward to visiting your site again! Happy New Year and Happy Birthday....Jan 1st is my daughters birthday as well. Thanks for the chance to win ! Happy New Year, Dina! I follow your blog and love your amazing work. Thank you for the chance to win one of your pendants. It would be an honor to wear it and tell people about your amazing paintings! Your Paris card is beautiful. Thanks for all of the wonderful inspiration you offer. Love your blog. Thanks for being a part of the hop. Happy New Year and Happy Birthday! I love your blog and all the art you make! Thanks for sharing your talents with us! Happy New Year! Thank you for participating in the blog hop and giving us a chance to win a great prize!